Eamonn Wall is the author of seven collections of poetry: Junction City: New and Selected Poems 1990-2015 (2015); Sailing Lake Mareotis (2011); A Tour of Your Country (2008); Refuge at De Soto Bend (2004); The Crosses (2000); Iron Mountain Road(1997); Dyckman-200th Street (1994), all published by Salmon Publishing in Ireland. Individual poems have been published in The Shop, Poetry Ireland Review, Cyphers, West47, TriQuarterly, Crab Orchard Review, South Dakota Review, River Styx, The Recorder, New Hibernia Review, Eire-Ireland, Nebraska Review, and other journals. 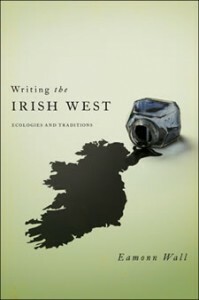 Writing the Irish West: Ecologies and Traditions was published by University of Notre Dame Press in 2011. “Bringing an ecocritical approach to seven contemporary authors whose work is inspired by the West of Ireland, Wall breaks new ground in transatlantic studies by drawing parallels between representations of that region and the American West” (Isle). “Writing the Irish West: Ecologies and Traditions, Wall has distilled the earlier experience of geographical binarism into an illuminating critical approach. His new book examines contemporary Irish writing on the West of Ireland through the wide-angle lens of cultural, critical, and literary writing on the American West. Though his focus remains on the Irish writers, apt evocations of American parallels enrich the texture of his analysis” (Andrew Auge, New Hibernia Review). “Wall’s meticulous and timely scholarship, which incorporates recent texts such as Christine Cusick’s Out of the Earth: Ecocritical Readings of Irish Texts, ensures the book’s status within the field of ecocriticism” (Donna Potts, Irish Literary Supplement). From the Sin-e Café to the Black Hills, a collection of essays, was published by the University of Wisconsin Press in 2000 and awarded the Michael J. Durkan Prize by the American Conference for Irish Studies for excellence in scholarship. Essays, articles, and reviews of Irish, Irish American, and American writers have appeared in New Hibernia Review, Irish Literary Supplement, The Irish Times, The Washington Post, Chicago Tribune, South Carolina Review, An Sionnach, and other journals. 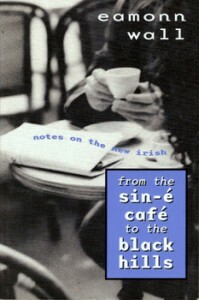 Eamonn’s poetry and prose has appeared in the following anthologies: The Book of Irish-American Poetry from the 18th Century to the Present; Irish Writing in the 20th Century: A Reader; Wexford Through Its Writers; Flood Stage, An Anthology of St. Louis Poets; The Big Empty, Contemporary Nebraska Nonfiction Writers. A native of Enniscorthy, Co. Wexford, Ireland, Eamonn Wall has lived in the US since 1982. He was educated at University College, Dublin; the University of Wisconsin-Milwaukee; and the City University of New York-Graduate Center, where he received his Ph.D. in English. 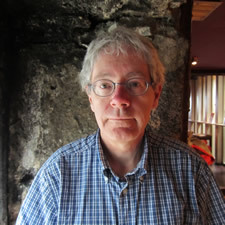 Eamonn Wall lives in St. Louis, Missouri, and is Smurfit-Stone Professor of Irish Studies and Professor of English at the University of Missouri-St. Louis. He teaches courses in Irish, Irish-American, and British Literature, directs the university’s Irish Summer School in Galway, and curates the Irish and Irish American Lectures/Concerts Series for International Studies & Programs.